Is is really almost October? I love fall – and I really don’t want it to hurry past. But this year time sure seems to be flying! I thought I’d share a couple cards I made with the new Boo To You Digital Craft kit. I just know Halloween will be here before I know it. All of the images and papers for these are in the kit – so they were pretty quick and easy, especially since my Silhouette cutter did all the cutting! (Included in the kit are solid black PNG’s for all the elements. If you own a Silhouette, you can very quickly make cut lines for any element using these black images. Here is a little tutorial on how). Hope everyone has a wonderful Friday. Remember to get outside and enjoy the fall weather while you can! This entry was posted in Cutting Files, Digital Craft Kits and tagged Halloween on September 28, 2012 by Cathy. Are you ready for World Card Making Day this weekend? Although, I’ve been having so much fun with Halloween projects this year – I might still do a couple more of those. This simple card was made with the Best Witches cling stamp set (the images are Eat Cake Graphics) and some scraps of paper left over from last year (I’m sorry to see it almost gone – I loved that paper!). I think this witch is really enjoying the party! Its colored with Copics. I cut the image out with a Spellbinders die and embossed. Before I removed the die, I masked the image and inked the background with Peeled Paint Distress ink using a duster brush. The sentiment tab is made with an ancient punch that is not working very well anymore. May have to find a new one! I just wanted to remind you of our World Cardmaking Challenge for Saturday. We are partying along with PaperCraft Planet and will post the actual challenge at 4:00 pm. If you would like to see the prize package, check out this post. You might even get a clue to the challenge from the prize package………. Also, our tool sale is still going on in the Paper Garden Projects Store. The new Spellbinder tag dies are back in stock and still on sale. And don’t forget about our Design Team Call – we’d love to see your stuff. I’m just full of news today…. Well, I’m off to prep for the card making fundraiser tomorrow – cardstock to cut and supplies to pack. Hope everyone has a delightful day! This entry was posted in Rubber Stamp Projects and tagged Copic Markers, Eat Cake Graphics, Halloween on October 1, 2009 by Cathy. Yes! Even more new Eat Cake Graphics images. But they also make the best chicken noodle soup in town…. so they are always forgiven. I used the Bippity Boppity Boo cling stamp set to make the card. The images are colored with Copic Markers. The paper is from the Halloween Happiness Prism paper pack. I stamped the purple with the Tin Patterned background stamp in Versamark ink just to give it a little texture. I heard a rumor that Eat Cake is coming out with new winter images too. I’ll keep ya posted! This entry was posted in Rubber Stamp Projects and tagged Copic Markers, Eat Cake Graphics, Halloween on September 24, 2009 by Cathy. Edited to add: The stamps used to make this card can be found in the Best Witches Cling Stamp Set. The card kit is no longer available. Check out the awesome projects that Tracy made using the Best Witches card kit. Isn’t the layout of this card she made beautiful? 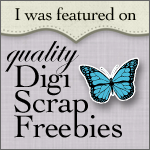 You can see more of her work on her Blog Durcan Designs. Ohhh… I love good Halloween fun! 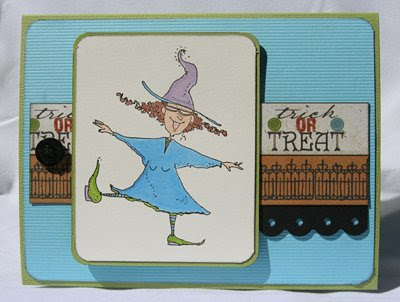 This entry was posted in Rubber Stamp Projects and tagged Eat Cake Graphics, Halloween on September 8, 2008 by Cathy.